Salicylic acid is a potent Keratolytic which causes gradual softening and separation of the superficial horny layer of the skin & Lacnc acid enhances the effect of salicylic acid Polidocanol is a local anesthetic agent with an intense and lasting effect. Pain eases soon after application at Collomak the film forming base which contains the active ingredients of Collomak cover the skin by fixed layer. Salicylic acid as well as lactic acid are absorbed through the skin at a highly variable degree depending on the vehicle and on the physiological state of the skin in general the absorption will be higher at low ph value and through inflamed skin Both Salicylic acid & lactic acid undergo extensive metabolism and are excreted mainly as metabolites. As lactic aCid is a physiological product of mammalian metabolism it is completely degraded to carbon dioxide and exhaled in large amounts. For the removal of corns, calluses, hardened skin and warts. in adults the maximum daily dose of Salicylic acid is 2g. In children, the maximum daily dose of Salicylic acid is 0.2g (equivalent to 1 ml of Collomak). 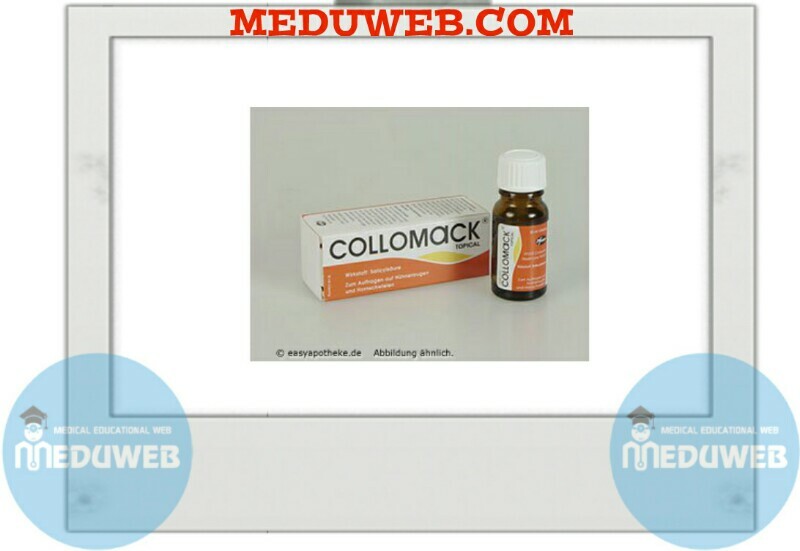 Collomak must not be used in infants under 2 years. It should not be used in case of hypersensitivity to Salicylfc acid. sencvtates or any ot the other Ingredients. It should not be applied on birthmarks, hairy warts, warts in the genital area or in the face. Rarely, hypersensitivity reactions & local irritation of the skin (burning & reddening) may occur. Salicylic acid may increase the percutaneous absorption of other locally applied preparations and therefore intensify their assimilation. 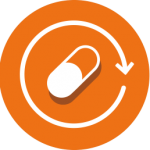 The absorbed salicylic add may tntensity the undesired effects of Methotrexate and the Blood-sugar reducing effect of oral anti-diabelic drugs of the Sulphonyl urea type. for the treatment of corns and calluses during pregnancy it should only be applied on small areas (smaller than 5 cm). If it is used according to the dosage instructions it is allowed to nurse crunng treatment. It must not come into contact with mucous membranes, especially the contact with the eyes, If this happen inadvertently the area should be washed with large amounts of water. Percutaneous absorption of Salicylic acid may be increased In case of diseases of the skin assooar with reddening and inflammations (e.g. psoriatic erythrodermia) or with superficially weeping changes of the skin. carton box contains glass bottle of 10 ml solution closed by screw cap with spatula + leaflet. October Pharma S.A.E. 6 October City – Egypt.